Patients in and around the area of Marietta, Georgia who are seeking full-service dentistry in their community are welcome to contact the practice of Drs. Lan Vo and Sean Breckley at 32 Dental. Our dedicated staff works closely with patients to address dental health needs and cosmetic imperfections such as fine lines, wrinkles, and folds on the face. Many of our patients who are interested in achieving the most beautiful smile are excited to learn that we offer an injectable that can be used on the face for enhancement. This includes the ever popular Botox brand of neuromodulators. Many patients have heard of Botox, but are often unfamiliar with how it achieves smoother skin. Botox is a neuromodulator known for reducing muscle contractions. It is injected into the muscles of the face in specific areas to reduce the appearance of wrinkles and folds, typically those present on the upper half of the face. 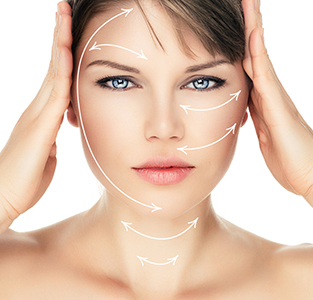 Botox works best in areas such as the forehead, between the eyebrows, and around the eyes. Most patients are appropriate candidates for Botox as it is safe and effective. Botox has been approved for cosmetic enhancement by the United States Food and Drug Administration through clinical trials and studies. 770-423-1132 and make an appointment to discuss the endless possibilities of Botox injections.